I want to thank all of you for visiting our website. Even though our nursery started in 1977, our Internet presence started in 1998. As far as I know, we were the first commercial palm nursery on the Internet. The website has really developed since its origin. We have added a dozens of new features and our inventory continues to grow. I am sure the coming years will hold wonderful changes for all of us, not only in terms of communication, but also in terms of the plants we can offer for sale. In case you didn't notice, this website is huge with thousands of pages. Take your time. There's a lot of information here. We have always known that our nursery has one of best selections of unusual palms and cycads in the country, offering over 1000 species for sale. Our goal with the Website was to let people know we exist and that we had for sale all of these unusual species of palms and cycads. Over time, however, the website became an avenue for dissemination of information not only about the plants, but also how to grow them. I think you'll find few websites on the net that present as much important taxonomic and cultural information as this Site. We are proud of our site. Another function of this website was to make people feel comfortable with our Nursery. On the Internet, you cannot tell if someone is a legitimate company and can be trusted. You cannot tell if a company will deliver what is promised. 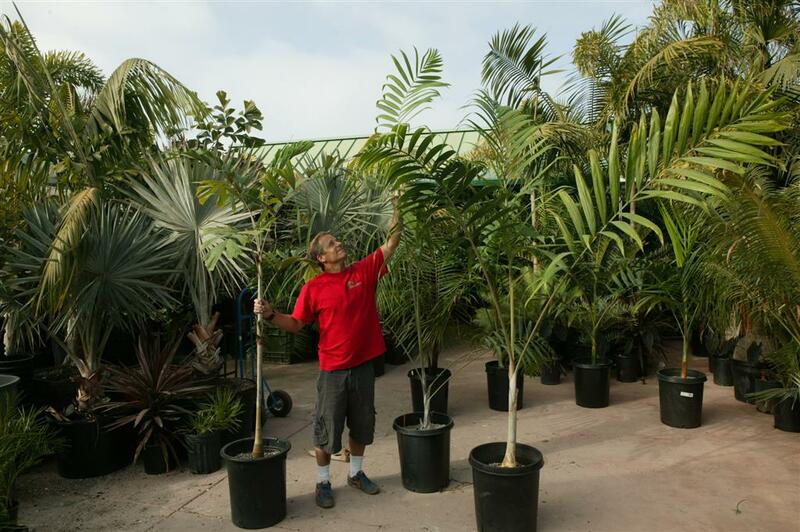 Jungle Music is an existing nursery specializing in palms and cycads and we've been in business for over 33 years. We want your business today and in the future. We've been around since 1977. Our customers mean a lot to us and we take good care of them. We invite you to read feedback from our customers elsewhere at this site. And, read the press coverage that we have gotten over the years. Now, a bit about our plants. Our plants are very healthy and good sized. They have not been "pampered" so much that they wilt once you buy them. They have seen cold temperatures. Also, when we ship plants, we put great care into the handling and packing of the plants. We frequently get comments from customers on our service, responsiveness and quality of shipping. And, people feel our plants perform better than plants they've purchased elsewhere. As we grow an amazing number of species, it is difficult for readers to know the price and appearance of everything offered in every size. We do have a database with prices on the plants. (see "Buy Palms" and "Buy Cycads" at Home Page). If you visit our nursery, it is easy to appreciate the huge numbers of plants we have for sale and their quality. But, over the net, this is quite difficult. We have posted an article "Compare Nursery Plants with Mature Specimens" to show the reader some of the species and plants we offer for sale. And, other articles show our plant inventory to some extent. Although our availability is continually changing, customers should always feel welcome to call us directly about anything that interests them. Finally, if you live in our area or are planning to visit the Encinitas area, please do come by and visit us. We are just off Freeway 5. We are always open Monday through Saturday, 9AM to 4PM. We love making new friends. You will quickly find out why our average customer comes back 10 times. You'll feel like "a kid in a candy store"! If you are landscaping your yard and want some neat stuff, I guarantee you that we have it. And, we can help you prepare a landscape plan for your desired garden. Hope to see you soon. Rusty, long time employee, checks out various palms.